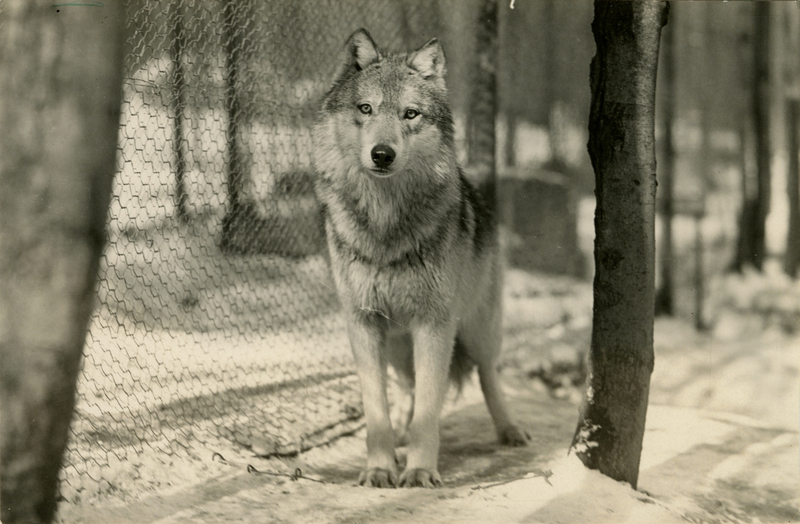 This photograph depicts a wolf in a pen at Dr. McCleery's lobo wolf park, located along Route 6 five miles east of Kane, PA (judging by the amount of wire on the fence). This photo has a strip of yellowed paper on the back. This photograph was featured in the Public Ledger (Philadelphia, PA) on February 21, 1932 which also attributed the photograph to A. A. Nicolas. 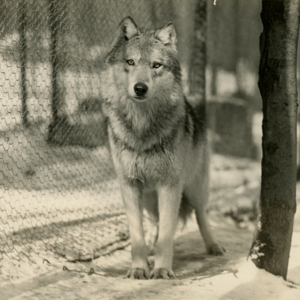 This photograph was taken between 1929 (when Dr. McCleery moved the wolf park to the Route 6 location) and 1932 (when it was featured in the Public Ledger). This photograph is owned by the Kane Historic Preservation Society.